A Starbucks drive-thru in Hull. 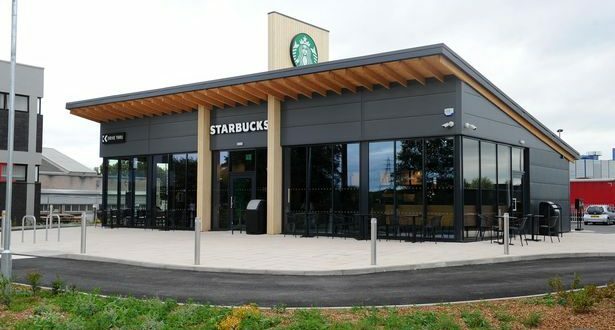 A planning application has been submitted in the hope of setting up a drive-thru branch of coffee chain Starbucks in Long Sutton. The proposed plans detail a Starbucks coffee shop and restaurant outlet with a drive-thru area. The Main Road Filling Station on Wisbech Road at Long Sutton is the proposed location and will offer parking for 12 cars and one dedicated motorcycle parking space. In support of the application, Julian Sutton of JMS Planning and Development, said the existing roadside facility isn’t up to scratch with modern needs. He wrote: “The site, Main Road Service Station, is an existing petrol station forming part of a larger roadside facility serving the A17 strategic road. “It is a long established site which has been meeting the needs of motorists for many years. On the site, there is currently a filling station, a Travelodge hotel and Benny’s Diner. A supporting Transport Statement document said no significant traffic issues have been foreseen. The report said: “Accidents have been recorded on the A17 on the approach to the roundabout but this is expected given the status of the road and the type of junction. The application is available to view and comment on online at the district council website.